Commercial and industrial structural and construction services are a core focus for KBSS Engineering. Project work often includes erecting steel structures and frames, concreting and civil engineering requirements. Safety and efficiency are paramount to project success. In order to meet these performance indicators, KBSS ensure all staff have extensive training and access to the cutting-edge fleet of equipment need to suit all project requirements. Water, drainage and waste water solutions. The process can include planning, design, and installation for the efficient transport of fluid. Once documentation and designs have been approved, teams proceed with installation takes including pits, pipes, valve, fittings and backfill. Access to equipment and extensive experience allow welding of materials including high density polyethylene (HDPE) and steel piping. Earth stakes and geotechnical engineering vertical drilling can be executed using rigs and other equipment from initial drilling until the production of oil or gas. KBSS can be mobilised, and can engineer, encapsulation clamps and compounds on short notice to respond to leakage as required for your application. Concrete cutting, coring and drilling can be undertaken with precision supported by speciality wet and dry equipment. Unlimited access to a fleet of equipment that can include client leasing. 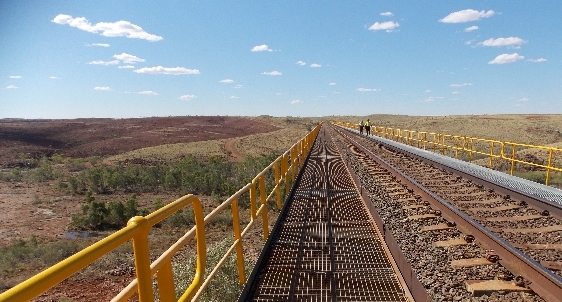 KBSS Engineering was contracted by Rio Tinto Railways Division to upgrade the walkways along both sides of the live 364m long rail bridge in Queensland. This services included works from planning, design and documentation, through to installation without disrupting train schedules. Key outcomes included zero delays to trains, with all works carried out working at heights with no major incidents. Our operational, fabrication, and management teams have defined our process. Through experience and adaptation, KBSS Engineering continues to increase efficiency, maintain results, and exceed expectations. Acquiring a clear understanding of client needs, project work and equipment requirements are dutifully considered to ensure a seamless transition into mobilisation. History proves that our lean and agile operations allow for planner, rapid mobilisation of people and equipment, setting the a standard for managed execution. Calculated planning and experience in mobilisation position our workforce advantageously so that we consistently deliver on time and on budget. With access to a specialised, skilled workforce, KBSS has developed strong partnerships with clients in construction, energy and resources, transportation, and contracting services. Clients are located within Australia and overseas, servicing short term and long terms requirements.